As your Financial Advisor, Laura can help you define your goals and devise a personalized strategy to meet your needs. This will encompass not only the investment aspect, but also take into consideration life style, personal values and legacy issues in order to create a customized plan. You will have access to some of the world’s most seasoned and respected investment professionals, a premier trading and execution platform and a full spectrum of investment choices. With more than three decades of experience in the financial services industry, Laura provides personalized services and thoughtful, proactive advice to her clients. The clients’ moral values are also taken into consideration when planning the investment strategy. Laura fosters strong relationships with her clients, which are critical to meeting their long term goals. She works with various generations of the family and in close collaboration with the client’s other professional advisors. Prior to joining Morgan Stanley in 2015 Laura spent 16 years at the Royal Bank of Canada Private Bank in New York. While at RBC she devised investment strategies to meet the clients’ needs as well as succession planning to ensure a smooth transition of wealth to the next generation. 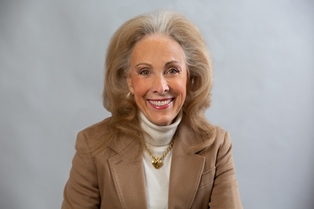 She also worked with several family offices and provided outstanding personalized service. Laura strives to be precise and thorough in her working style. Her client base encompassed high net worth entrepreneurs and professionals from Europe, the Caribbean and Latin America. Laura holds a MBA in business administration from New York University, and a Ph. D. in Latin American Literature from the University of Colorado. She has travelled extensively and is bilingual in Spanish and English, and has a working knowledge of French, Italian and Portuguese. Ready to start a conversation? Contact Laura Saver today.